Photograph This! : The Horse. On Camera Flash. The Horse. On Camera Flash. 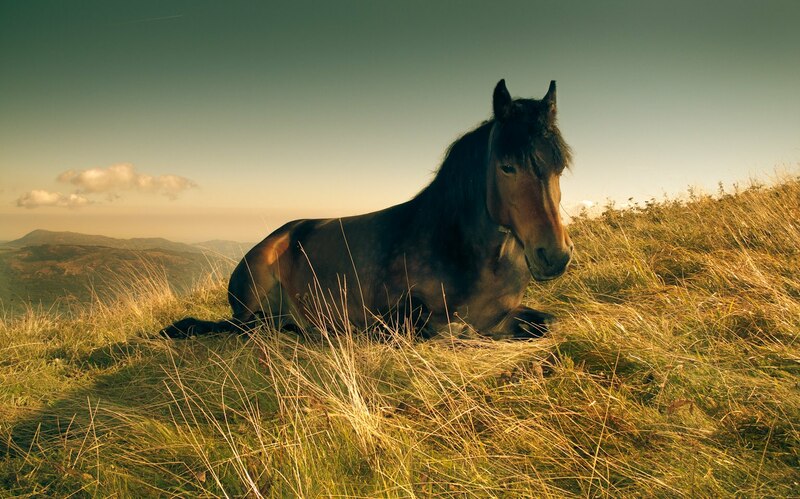 I was day hiking on the Appennini mountains last September, when I met this small horse who was quietly grazing on the ridge I was walking on. The early morning light was beautiful and still low on the horizon, and I decided to take an image. I had my trusty canon G10, but that was it...how to get something better than just a happy snap? Think Fabio, think. Not that the horse was in any hurry but... I decided to go for a simple crosslight scheme with the sun, similar to what a lot of sport magazines do for their covers. The photographer often uses an on camera ring flash and one or two rim lights from behind the subject, depending on where the sun is. It gives that 3D feel to the image. So I had the Sun behind the horse to camera right, underexposed until I got the sky and the landscape right (ISO 80, f4.0, 1/500th/sec) and bumped up the on camera flash (which I almost never use) until I got a good fill. I did not have an extra light to the left but I noticed that from one angle some direct sunlight hit the back of the horse..on my side. Bingo! Not quite rim light, but it frames the horse's body quite well and it makes the image work. Try covering it with your thumb and see how the image loses impact? I did the color post processing at home, plus some trickery with contrast. Sometimes you need to work with what you got.